Water is one of the key design elements in this garden. This is a view of part of the main pond. 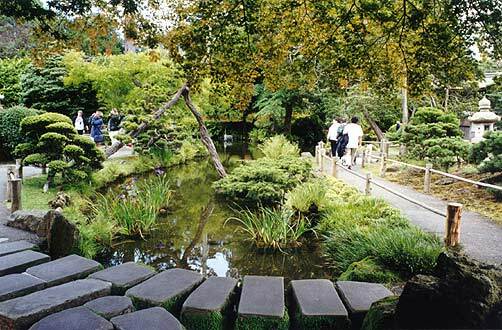 The mossy stepping stones across the water add interest to the path.